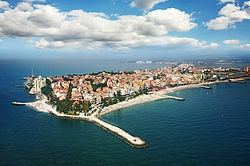 This is a complete list of all cities and towns in Bulgaria sorted by population. Province capitals are shown in bold. 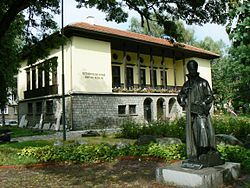 Primary sources are the National Statistical Institute (NSI) and the Bulgarian Academy of Sciences. 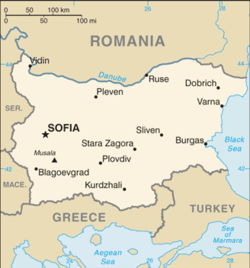 The largest city is Sofia with about 1.2 million inhabitants and the smallest is Melnik with about 300. Smallest towns are not necessarily larger than all villages as many villages are more populous than many towns, compare Lozen, a large village with more than 5,000 inhabitants. ^ a b "ПРЕБРОЯВАНЕ 2011" (PDF). Nsi.bg (in Bulgarian). Retrieved 17 October 2017. ^ a b "УРБАНИЗАЦИЯТА В БЪЛГАРИЯ ОТ ОСВОБОЖДЕНИЕТО ДО КРАЯ НА ВТОРАТА СВЕТОВНА ВОЙНА" (PDF). Prokarstterra.bas.bg (in Bulgarian). Retrieved 17 October 2017. 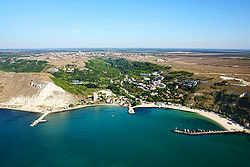 ^ "България / Bălgarija". Pop-stat.mashke.org (in Bulgarian). Retrieved 17 October 2017. 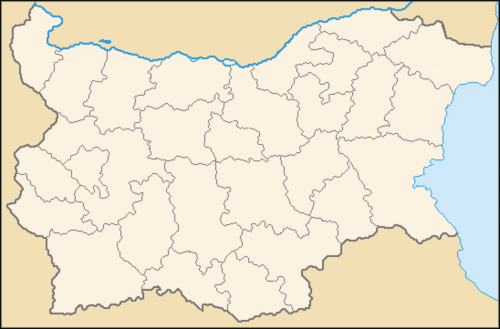 Wikimedia Commons has media related to Populated places in Bulgaria. This page was last edited on 10 April 2019, at 07:29 (UTC).